Now Chinese consumers have more income to spend on better quality foods, snacks in China have become an optimal source for instant satisfaction or energy. Snacks in China: E-commerce is growing at a lightning speed in China. The growth of E-commerce has been estimated up to 33.3% in 2015 from 2014. According to the National Bureau of Statistics; the increasing figures in E-commerce are much faster than retail growth in general at 10.6%. E-commerce facilitates about 12.1% of all retail sales in China. In a country of 1.37 billion consumers, brands need to incorporate local e-commerce in their business strategy. A well- known example in China’s snack industry, Three Squirrels has played smarter on E-commerce platforms than giant international food companies with bigger budgets. How well are Snacks in China doing? Snack industry in China has been growing at a steady pace of approximately 15% annual growth. It’s worth was more than 200 billion RMB in 2011, and it’s estimated to be worth 480 billion by 2018. Why are Snacks in China so popular? As mainland Chinese consumers have higher income and greater awareness of health issues, they are buying fewer prepared local foods and snacks. Whereas five or ten years ago, instant noodles were an inexpensive source of nourishment. Consumers now look for snacks made from natural ingredients, that have nourishment and prefer imported snacks. Now Chinese consumers have more income to spend on better quality foods, and consume snacks mostly for instant satisfaction or energy. Growth of snacks in Chinese marketplace is still significant if compared with its other counterparts. As Chinese customers are getting more aware about heath issues caused by sugary items, the growth rate of sweets and chocolates have declined to about 10% since 2004. Another key player in local snack industry, instant noodles is also declining at a fast pace due to high quantity of sodium and preservatives in it. Preserved Fruit juice and soft drinks have seen their growth rates halved in the last three years as now Chinese consumers prefer to drink fresh juices. This shows a very strong trend change in Chinese industry, where Chinese consumers still need snacks for instant energy boost due to their busy life schedules but now are making more aware and healthy choices. 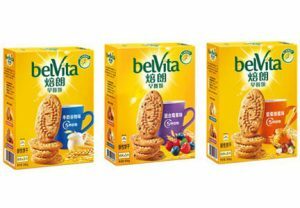 As International snack brands are perceived of having better quality, they are dominating in China’s snack market. 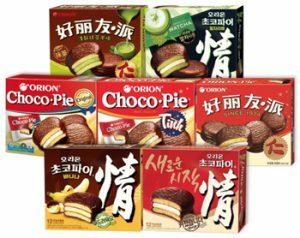 The top 10 snack brands are Want-want, Kraft Foods, LIWAYWAY, DANONE, Wm Wrigley Jr Company, Dove, ORION, Xufuji and Jiashili. Of these brands, Wang-want and Xufuji are Taiwanese, accounting for 20% market share. Kraft Foods, LIWAYWAY, DANONE, Wm Wrigley Jr Company, Dove, ORION occupy 50% of the Chinese snack market together. Xufuji and Jiashili are domestic brands, and though they together account for 20%, they still attain less than half marketshare in China’s snack industry. Why International snack Brands need a strong presence on E-commerce platforms? This statement emphasizes International snack brands, to have presence on E-commerce platform, as Chinese consumers choose to shop from both online and offline mediums. 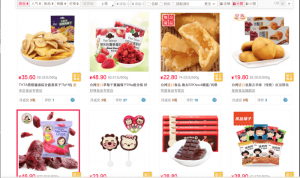 What do International Snack brands “must have” to enter Chinese E-commerce platforms? As China’s E-commerce market is not the easiest one to enter due to language barrier, cultural differences and strict policies of e-commerce platforms but there are solutions offered by key player in the market to facilitate international brands to enter and be successful on Chinese E-commerce platforms. There are two vital approaches to enter and be successful on Chinese E-commerce platforms. Branding and presence on well-known e-commerce platforms of China. Nearly 50% of Chinese respondents say they are already ordering grocery products online for home delivery (compared to 25% globally) and more than half (52%) are willing to purchase online in the future, according to the new Nielsen Global E-commerce and the New Retail Survey. To capture attention of these online shoppers the International brands needs to have strong presence on E-commerce platforms. This entirely needs to understand the habits and patterns of Chinese consumer shopping. The local digital marketing players in Chinese market are pro at it. Its best to reach out to them for helpful advice. TMALL holds the biggest market share in e-commerce market of China at 57%. It mainly focuses on premium brands. This characteristic makes TMALL most expensive e-commerce marketplace in China. For Chinese consumers, high price indicates high quality therefore many customers prefer buying their products from TMALL.com TMALL is owned by Alibaba Group. It provides an opportunity to International brands to open exclusive online stores and directly sell products to Chinese consumers without being physically present in China. 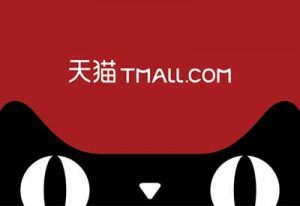 TMALL has invitation-only policy where only qualified international brands can either be invited to join or can apply through a certified third party agency (TP). For more information on how to sell International products through TMALL, please contact local digital marketing agency. Apart from aforementioned formalities the brand needs to have strong digital marketing strategy catered towards Chinese online customers. The International brands need to gain visibility and build E-reputation in order to have successful presence on TMALL platform. JD is China’s largest online direct sales company. It relatively has less market share than TMALL.com. It operates seven fulfillment centers and 166 warehouses in 44 cities. 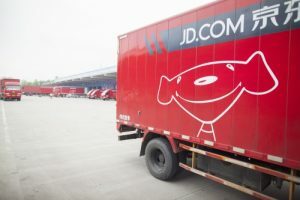 JD.com has 4,142 delivery stations across several districts of China. International companies can open individual online stores on JD.com and brands are permitted to import food, beverages, apparel and shoes from overseas. JD’s cross-border service, JD Worldwide, enables suppliers to sell directly to Chinese consumers without a local presence. JD.com is less expensive than TMALL.com. It provides active global promotion of JD Worldwide (mainly in the U.S. and Australia) and supports in-house logistics service. JD.com has a zero tolerance policy for counterfeit products. Apart from aforementioned formalities the international brands are expected to have Chinese consumers catered digital marketing strategy to attract targeted customers. Entering Chinese E-commerce via Haitao Web Interfacce? There are several cross- border websites that cater international brands. Chinese consumers prefer buying imported food products from Haitaos. To learn about which Haitao is suitable for you brand please contact local marketing agency catering International food brands. Taobao is owned by Alibaba Group. It offers largest C2C e-commerce marketplace in China. Taobao allows registered or non-registered businesses to sell directly to consumers. It has more than a million sellers, along with countless product categories. Establishing a store on Taobao is virtually free but the online marketplace is ruled by small sole sellers who compete fiercely on price and honesty and authenticity is an unwritten rule of their trade ethics. Sellers with low budget and low quality products opt for this platform. However, this platform is not the best one to sell food items just like all other well-known and trusted online platforms in China. Taobao also needs strong digital marketing skills to be visible to online customers. WeChat is engrained in lifestyles of Chinese consumers. It is all-in-one-app which integrates social e-commerce seamlessly. There are three types of service accounts available for promoting business on WeChat; WeChat Subscription Account, WeChat Service Account and WeChat Enterprise Account. Businesses present on WeChat via aforementioned accounts can broadcast information to their followers. The information post can be shared, reposted or generate comments by the followers. Subscription account is the most basic version of all official WeChat accounts. It can be used to push information to the followers. The messages sent to followers are grouped in one folder containing all other subscription account that the user is following. It is generally used for the daily news and information broadcast. 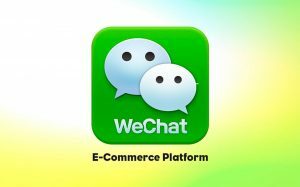 WeChat Service Account is considered the most suitable for business and organisation that aspire to access advanced WeChat Official Account. Service accounts allows more APIs (Minisite) than Subscription Account and companies are enable to build its own application, get inquires and broadcast promotional content to its followers. With the help of Service Account, one message per week and 4 messages per month can be sent to the followers. Enterprise Accounts are also called Corporate Accounts, these are mainly used for internal company use, for example; sharing memos, private group chat or a simple project and task management system. These accounts are being increasingly used within Chinese organizations. These accounts are secure and followers have to go through an authentication process unlike other WeChat account where gaining followers is the primary goal. The WeChat accounts formed to target Chinese users must be registered inside China or else it will not be visible to Chinese users. Possessing an Official WeChat accounts requires a legal Chinese entity, a Chinese Residence ID and A China mobile phone number. International companies are advised to partner with expert Digital Marketing Agency, which is willing to apply for an official WeChat account on behalf of the international company. Together with opening an official WeChat Account, it requires sound and expert knowledge of the market and digital strategy to target right customer group and successfully penetrate WeChat landscape. 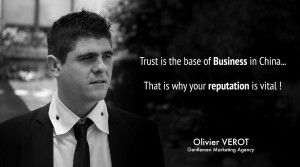 WE BELIVE IN ROI=ECOMMERCE, This strategy of ours make us a reasonable choice, don’t hesitate to ping us. Would you like to learn more about China’s snack market, and how your snack brand can step into gigantic Chinese E-commerce platform, you can reach us for a friendly discussion and to learn about you snack brands prospects in Chinese e-commerce market. Our Digital Marketing agency provide International Brands with tools that are optimal to unlock this enormous market to earn their full potential and multiple sales with millions of users. If you are interested in exploring Chinese Digital E-Commerce platforms, reach out to us for customised advice. and health snacking in china, so popular. Can you tell us the popular chinese packaged snacks , best chinese snacks brands ? 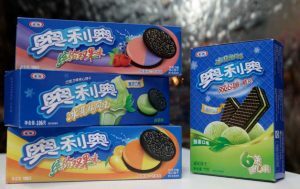 Do chinese buy snacks online ? I never know.